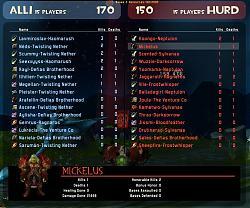 This is a fan update of the original TF Scoreboard with some fixes and improvements. Original autor of this addon Mickelus. Work on live 4.3 servers. 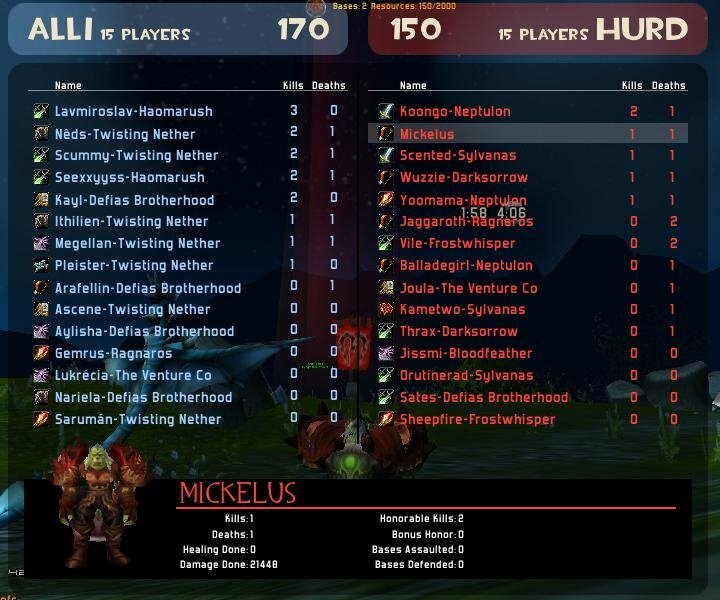 Creates a scoreboard that looks alot like the one used in the fps game Team Fortress 2. Keybindings for toggling and/or showing while the key is held(I can't give a better description, you have to check for yourself) can be set in the default key binding menu. Currently the scoreboard is sorted based on how the default scoreboard is sorted. This AddOn seems to be really cool, but I seem to have a problem, i downloaded it and put it in my AddOn file, and when I logon to WoW it says I have the addon installed, but when I tried it in a BG, it was the old scoreboard :s.
EDIT: It works now ^^Just found out you had to keybind it :P...Looks amazing imo! Last edited by Blindzor : 02-10-12 at 06:25 PM. Hi wimp~, I'm still alive . Tried to update some but it's hard to get the fingers out of my arse when I'm not really playing anymore. But then this guy shows up, sweet! I used to love this addon back in the day. Too bad Mickelus stopped playing in WotLK in favor of university. But hey, who wouldn't.